"Dystopia"... The EP title says it all. 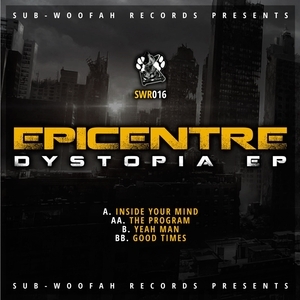 But then if you know Epicentre's output (and you really should by now) then you won't need a bleak title to set the scene. We're talking dark, rolling, timeless junglism on a highly authentic level. 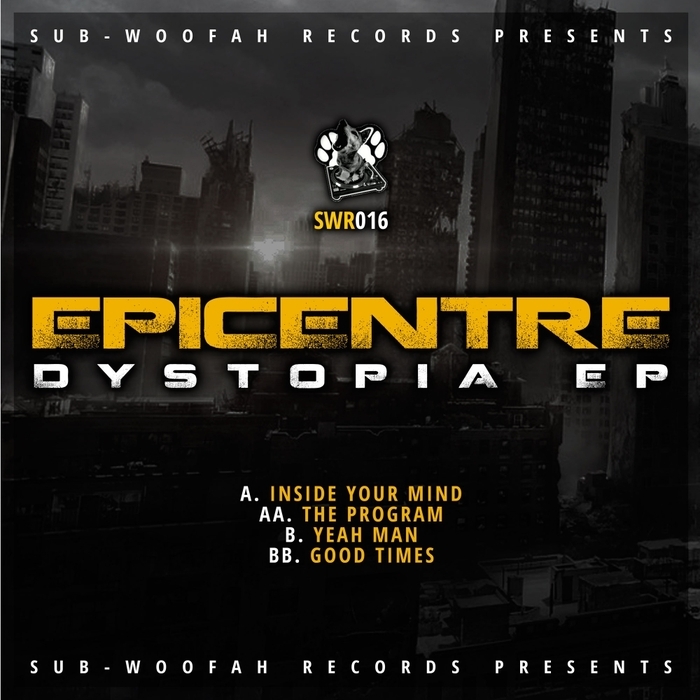 From the Sappo-style rolls of "Inside Your Mind" to the Vapour-level hoover flexes of "Yeah Man" by way of the turbo charged grit of "The Program" and outright anger of the ironically titled "Good Times", this is yet another spotless example of Epicentre's command of both studio and jungle science.